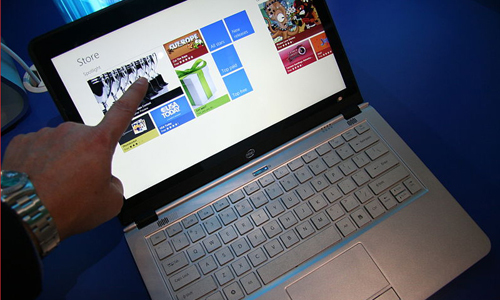 Sixty-seven percent of the US population bought something online in 2013. And more than a third of France’s smartphone owners made a mobile online purchase in the last three months (compared with 76% in China). E-commerce is on the increase, as is showrooming, the practice of examining goods physically in a high-street store but comparing prices on a smartphone. Indeed, showrooming has become so significant that one large Tokyo clothes store actually encourages visitors in their thousands to examine items in the shop, try them on, scan the labels with their smartphones, then leave without buying anything; orders will be placed with a partner organization and paid for online using a smartphone application. 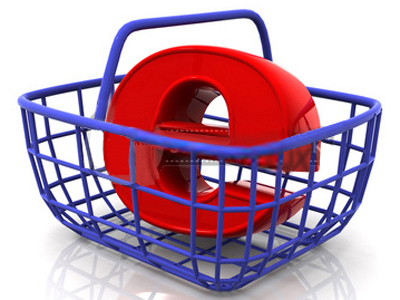 By 2017, 10% of retail sales will be made online, and mobile commerce sales are expected to reach 107 billion dollars. At the same time, 88% of consumers worldwide search for goods online but buy them in brick-and-mortar stores, which continue to enjoy high customer appreciation. Clearly, highstreet stores need to adapt to shifts in consumer behaviour patterns under today’s difficult economic conditions. And this adaptation calls for digital innovations. Click-and-collect services are become more commonplace and more varied, as at Auchan, which is launching a one-hour click-and-collect service, and Monoprix, which is extending this free service to its clothing department. Basically, customers order their goods online then come and pick them up at the store. Carrefour offers customers simplified shopping routes with its connected hypermarket system. Product labels include NFC (near-field communication) chips, so that they can be geolocated precisely within the store’s huge (11,300 square metres) shopping area using a special mobile “find-it” application. Customers can prepare their shopping lists on their phones (at home or in the store), and the application will plot a time-saving optimum route through the store automatically. 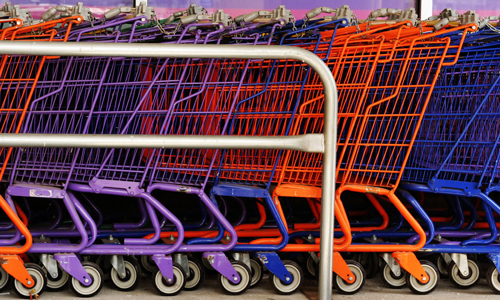 Another innovation is the intelligent shopping trolley invented by an Indian student. Then at Villeneuve-La-Garenne in the Paris region, the QWARTZ centre claims to reinvent the entire shopping experience with a whole panoply of digital interconnection features (both entertaining and practical), extending throughout the whole of the gigantic mall. Aware of the danger that too much digital interaction might stifle human customer relations, Tesco launched a new form of customer dialogue at one of its UK supermarkets, in Bedfordshire, where digital shelf signs display the store manager’s answers to customers’ querie and post up personal contact details inviting customer input. Back to basics, as it were. Tesco has opened virtual shopping in subway stations in South Korea and at Gatwick Airport in the UK. In France, the pure player RueduCommerce.com, has put up shopping walls in five stations across the Paris region. For an innovative and entertaining shopping experience (“wherever, whenever and however”), Kiabi’s new Google Glass application lets customers photograph clothes they see in shop windows or on the street and find something similar in the Kiabi collection. In response to their photo input, customers receive a wish-list on their smartphones, which they can then use for buying items online or at a Kiabi store. Couldn’t be simpler! For the most hardline of online shoppers, Amazon launched its Amazon Dash remote control in April 2014. Customers can browse the store aisles from their comfort of their sofas, selecting the goods they want using the barcode reader or just reading in their shopping lists, which are then interpreted using speech recognition technology. The Dash then sends the content of the shopping basket directly to the customer’s smartphone or pad (Android or iOS), on which orders can be placed using the Amazon Fresh application. And what about car sales? E-commerce techniques also extend to car sales, right up to the higher reaches of the price scale: on 20 May, BMW’s Z4 went up on the Vente Privée flash-sale site.Another move involves attracting customers into innovative outlets such as the new Audi City carless digital dealerships in London, Beijing and Berlin. The in-car environment has so far proved fairly impenetrable to attempts to address drivers and passengers on the move. This is likely to change with the advent of the driverless car, which will free up the driver’s attention for activities such as shopping. In the meantime, experiments along these lines are already underway, from BMW, for example, which is testing an online application that offers the driver special deals along a journey, such as coffee at the next service station or sportswear at the next shop.We can doubtless expect many more e-commerce developments in the months and years to come.